Hello and welcome to The WDW Radio Show – Your Walt Disney World Information Station. I am your host, Lou Mongello, and this is show #326 for the week of June 9, 2013. This week, I’ll open up the inbox and answer more of your questions on the air about everything from the lost New Orleans Resort in Walt Disney World, Castaway Cay, watching Wishes from outside the Magic Kingdom, ADRs, getting groceries to your resort, Illuminations cruises, Disneyland and more! I’ll have the answer to our last Walt Disney World Trivia Question of the Week, and pose a new challenge for your chance to win a Disney prize package. Stay tuned as I’ll some announcements and play your voicemails at the end of the show. So sit back, relax, and enjoy this week’s episode of the WDW Radio Show. QUESTION OF THE WEEK: What is your “Must do” thing in Disneyland for someone visiting for the first time? Leave your answer in the comments section below! 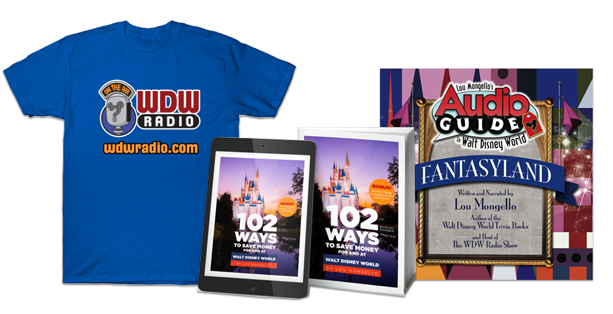 Listen to this week’s episode for the Walt Disney World Trivia Question of the Week for a chance to win a Disney prize package! You talked about possible ideas for what to do on Castaway Cay… I have three ideas that quickly came to me. 1 – Tortuga. Create a pirate town, complete with boats in a harbor and guests can try their hand at sword fighting, purchase piratey items in a themed gift shop, become pirates themselves, meet Jack Sparrow, or take a boat ride on a pirate ship. 2 – Swiss Family Robinson. Create a larger than life tree house (a-la-Tree Of Life) where guests can lounge, have a drink (tree top bar? ), spend an evening in a balcony restaurant having island inspired food, etc. 3 – Peter Pan. Disney has its own island. Why not incorporate several areas from Neverland on it? That would include fairies, Native people, pirates (again), a mermaid lagoon, etc. One reason that Castaway Cay might not be building up is because of the natural erosion of the coast; Sand and sediment is constantly moving and depositing itself around the island and on coasts. Attempts at preserving the existing beaches can change the ecosystem’s dynamic. Disney has a strong conservation message, so they might not want to alter the island any further. I don’t intend to come off pretentious, that just might be a reason why it’s not as developed as it theoretically *could* be. i never got a chance to personally thank you for the CD you gave me of MAIN STREET AUDIO TOUR, when we met at the Studios during the STAR WARS WEEKEND. Having moved here to florida three years ago, from anaheim, yes i said anaheim, i will only live in a state that has no snow AND a disney theme park. If you are going to Disneyland, you MUST, if nothing else, do the SLEEPING BEAUTY CASTLE walk through. It does the story well, and its a fun family experience. Im not too fond of the upgrade to this attraction, im a purist, but i love this attraction. the other atrraction i also HAD to go to, was ALICE IN WONDERLAND. This is your typical DARK RIDE….but it has a warm place in my heart. As i told you when we met, I have a 65″ 3D tv now and love watching, especially the Disney movies. We really should have a disney meet and greet at my condo. I would love to start a blog reviewing the disney 3D movies, but dont know where to go or how to start one. Any help there would be appriecated. My must do’s at Disneyland that I can’t do at Disney World are – Storybook Canal Boats and the Matterhorn! funnily enough I asked the same question with regards to disneyland in the blogs last week – I got no answers tho! So will steal these ideas! 6. the new Fantasy Faire has a very nice princess meet and greet that is very efficient! 7. Buena Vista street! if you love main street, you owe it to yourself to take your time over there. Agree, Publix rocks! My mom lives in Tarpon Springs. They have one just down the road from their house. Dig the key lime pie!!! Only been to Disneyland once myself. Actually that was my first visit ever to a Disney park, back in 1973. So I’m not in a position to recommend to first time visitors. However, if I were to go back, the first thing (or two things) I would like to do would be to jump on Pirates and the Mansion attractions. Those are the two attractions that made me fall in love with Disney back when I was 8. 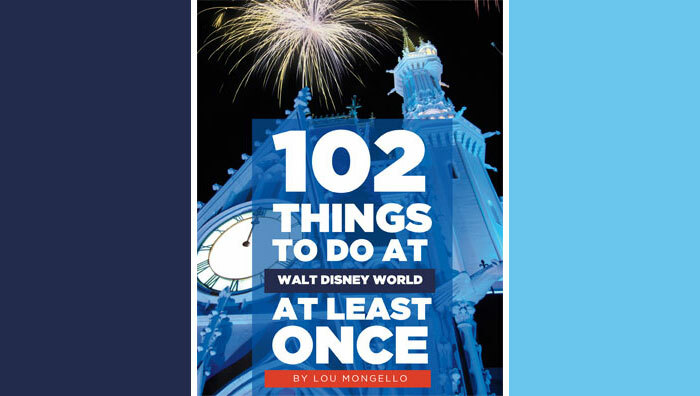 Would want to refresh my memory and compare experiences between WDW and Disneyland versions. Thanks again for another fantastic show, Lou and Beci!! !